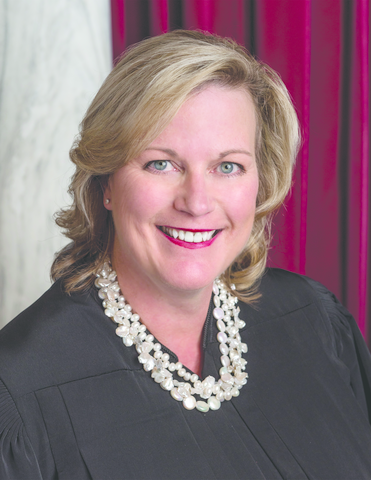 Beth Walker ’87 took office as a justice of the West Vir­ginia Supreme Court in January 2017 — and two years later, in January 2019, she’ll become its chief justice. The court’s five jus­tices unan­i­mously voted Walker into the chief justice position late last month. 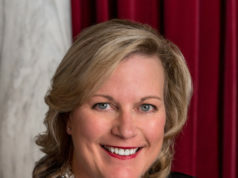 The chief justice holds office for a year, and her duties include over­seeing other levels of court within the state, ruling on recusal motions in the court, and pre­siding over oral argu­ments, Walker said. West Vir­ginia Supreme Court Justice Evan Jenkins, who’s known Walker for nearly 20 years, said Walker will be an asset to the court. Walker’s election fol­lowed turmoil in the West Vir­ginia Supreme Court: Earlier this year, the state leg­is­lature voted to impeach all five jus­tices for lavish spending of state funds. Walker said she intends to address these con­cerns in her new lead­ership role. In Tuesday’s election, a ballot measure passed amending the state con­sti­tution so that the leg­is­lature will be in charge of the state judiciary’s budget, rather than the judi­ciary itself. 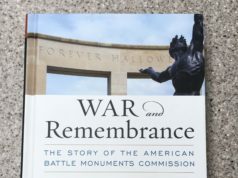 At Hillsdale, Walker was “a very good student, very serious about her work and about serving the college,” said Pro­fessor of History Tom Conner, who had Walker in a few of his classes and knew her as a student worker in the admis­sions office while he was director of admis­sions. Walker was a member of the Chi Omega sorority and senior class pres­ident during her time at Hillsdale. She also helped start the student ambas­sador program and worked for The Col­legian. “I’m thrilled,” he said of her new advancement. It seems our gov­ernment at all levels is dealing with a sys­temic cor­ruption problem. Even our Judicial branch, which should have the most respect for laws and con­ven­tions, suffers from this issue. We need good people to clean out the gov­ernment and restore cred­i­bility in tar­nished insti­tu­tions. A good step would be for Pres­ident Trump to nom­inate a new Attorney General of impec­cable cre­den­tials and respect for the law, to clean out the corrupt minions in the DOJ, FBI and CIA. The Obama Admin­is­tration nom­i­nated hor­rible, par­tisan lead­ership in those orga­ni­za­tions-no doubt due to the law-breaking and corrupt AG’s-Loretta Lynch and Eric Holder. As the Chinese say, ‘The fish rots from the head on down.’.